The documentary had its international premiere at the Trieste Film Festival. “The Distance Between Me and Myself” had its international premiere at the Trieste Film Festival. It is a documentary about poet Nina Cassian, made by Mona Nicoara and Dana Bunescu. Since early March, the film has been in theaters in Romania. “Hers was a reputation of the femme fatale, a heavy drinker and a chain smoker, the avant-garde poet. Composer and graphic artist Nina Cassian was at once an accomplice and a problem for the Stalinist regime, then she had a direct conflict with the Ceausescu regime, only to end up in unwilling exile in New York in 1985, in the wake of the assassination of dissident Gheorghe Ursu” the two filmmakers said. We invited Mona Nicoara and Dana Bunescu in Radio Romania International’s studios. We sat down and talked to them, detailing on their documentary. We wanted to find out how a ninety-minute production succeeded to reenact the so complex a history of a life, all along going with Nina Cassian in her endeavor to question her own options. The film was produced by Hi Film Productions in Romania and Sat Mic Film in the USA, and was also co-produced by Romanian public TV. In Romania, the documentary has triggered many reactions, mainly because of Nina Cassian’s rather complicated history. It is the reason why, many times, the documentary as such, and how it was made, were rather soft-pedaled. The two started work on the film in 2013, when Mona Nicoara began filming Nina Cassian in her flat in New York. The research extended into 2014, and the main financing was not available earlier than 2015. 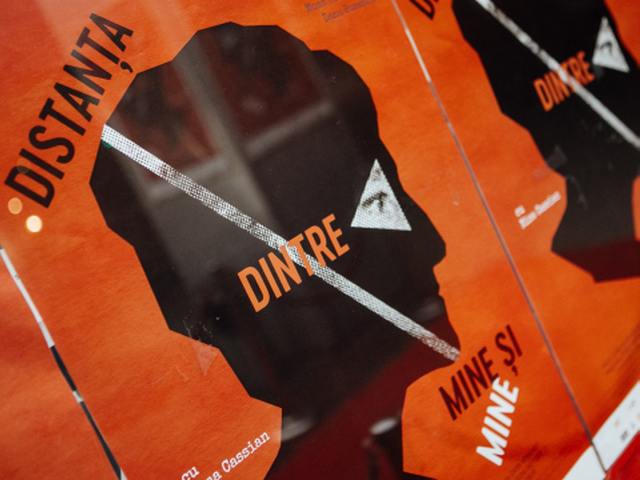 All throughout the film, Nina speaks about her poetry, about the reasons that prompted her to adhere to communism, about the disappointment the Ceausescu regime in Romania provided for her. Among other things, the two filmmakers were rebuked because they turned a proletkult writer into an icon. And that, despite the fact that, apart from a couple of volumes she published in the 1950s, in which she made her political convictions public, Nina Cassian published no less than 20 other poetry volumes and a similar number of books of children. “The Distance Between Me and Myself” was not intended as a legacy film. All she had to say, account for, and explain, Nina Cassian had already included in her memoirs, or that’s what filmmaker Mina Nicoara believes. She liked the idea, though, of the film gathering bits and pieces of her life and placing them against the present. Here is Dana Bunescu once again, this time speaking about the reactions triggered by the film.